If you’re a small business owner and looking for new marketing ideas, you may have considered a way to advertise with postcards. 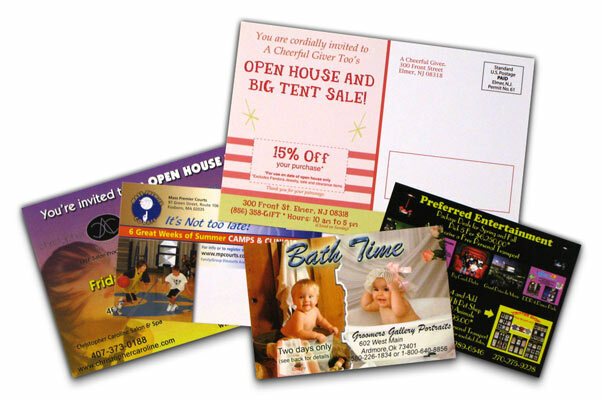 Advertising with postcards is a simple, cost-effective way to promote your business and reach new customers easily. You can print out postcards and get them shipped to prospective customers for a much cheaper option than online marketing or TV/Radio/Print advertising. This article is written to help you better understand the process for postcard printing, as well as how you can advertise with postcards. For the most part, there are two specific ways you can advertise with postcards. There are advantages and disadvantages to both methods of mailing postcards, but they’re both ways you can use postcards to increase your business. The main difference between EDDM and mailing postcards yourself is the cost. For EDDM, you simply pay a small fee to the USPS, and your postcards are sent out to a specific route or zip code you want to target. There are no mailing lists or addresses you need to buy. Mailing postcards yourself has a higher cost, because you’ll need to provide the addresses as well as pay for postage. With EDDM, your postage is included in the fee you pay upfront to the USPS. Contact us today so you can advertise with postcards! Contact us today so you can save up to 85% off the cost of your postcard printing. Not only will you enjoy huge savings on printing postcards, but you’ll experience firsthand what outstanding customer service and quality is like. Plus, if you want to advertise with postcards quickly, you can take advantage of the Rush Critical shipping option. Rush Critical is the absolute fastest online printing service in the United States. With Rush Critical, orders are generally printed out and shipped same-day/next-day. If you want your postcards fast, you’ll love Rush Critical. « Where can I get the best prices on postcard printing?